French doors are the timeless classic entrance door option. Available in uPVC, aluminium, and timber, they provide a stylish way to access your garden. Opened wide on a warm summer day, french doors will merge your interior and exterior space. When closed, they provide excellent levels of security and energy efficiency. 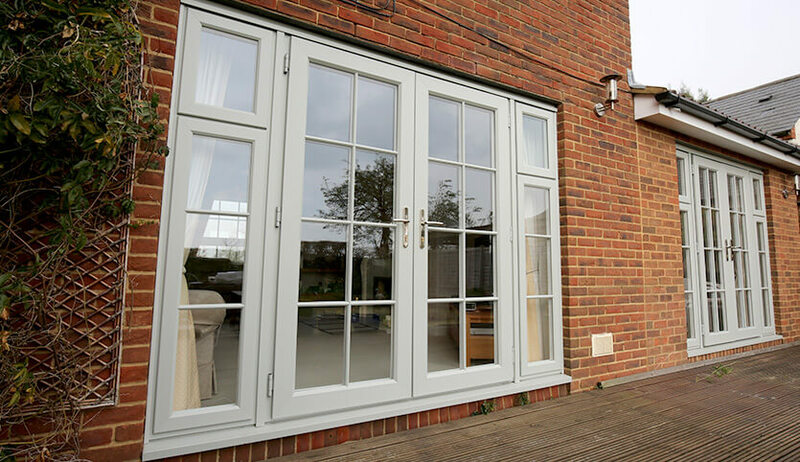 French doors feature two glass panelled doors. With their handles located in the middle, where the two doors meet, you can choose either open-in or open-out configuration, depending on your space restrictions. 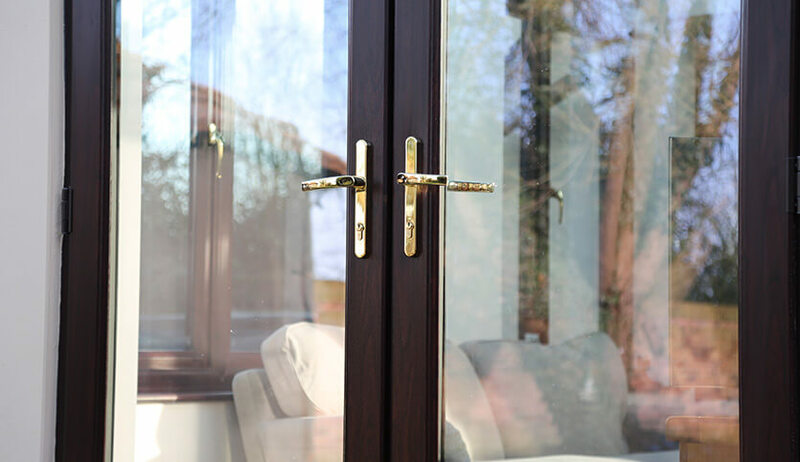 Originally seen in 17th century France, where they became popular as an access door to a balcony, french doors are now popular as patio doors or between a conservatory and interior room. 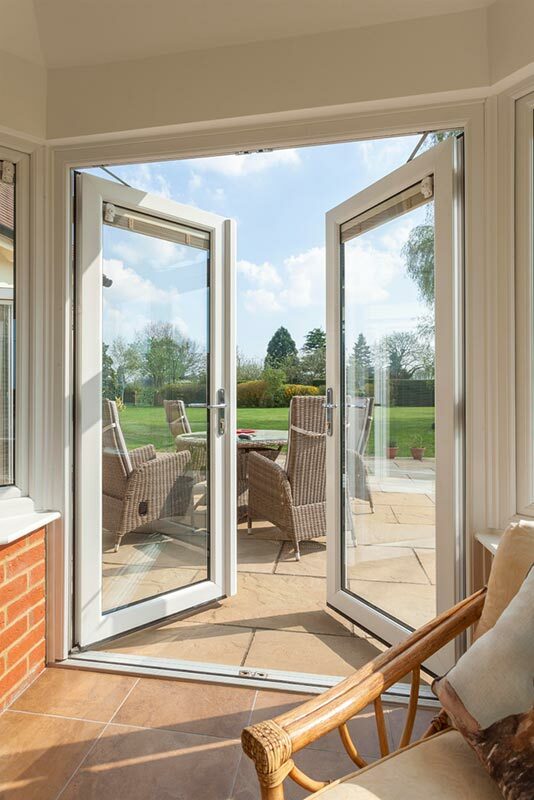 French doors from FineLine are a great addition to any property. Their double or triple glazed sealed units provide superb levels of insulation and sound proofing. You’ll soon enjoy a warmer, more peaceful home and save money on significantly reduced heating bills. In terms of security, they’re truly first-class. With multi-point locking systems featuring shoot bolts and key-activated locks, you’ll have peace of mind that your home is safe and secure. Our French doors are extremely versatile. They can be specified in a variety of sizes and designs to meet your specifications. They can incorporate side lights for increased natural light intake and can be installed adjacent to fully openable windows for improved ventilation capacity. Available in a range of durable and low maintenance finishes, there’s sure to be the perfect door to suit your home’s style. 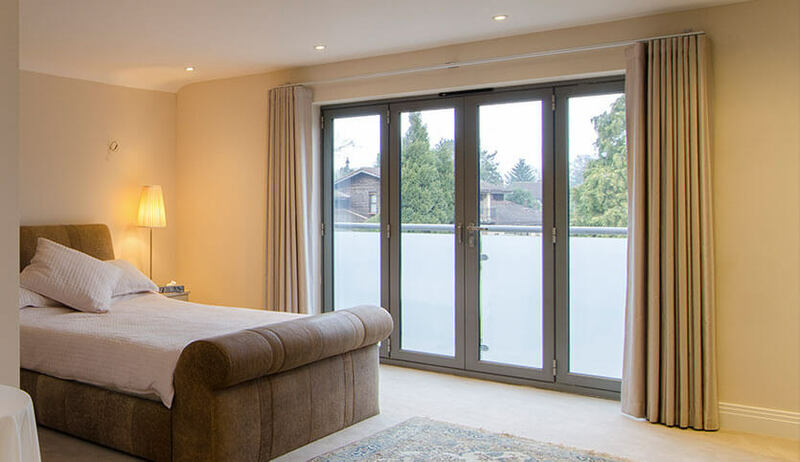 All our doors are available in uPVC, timber, and aluminium. Browse our individual product pages for more detailed information about our entire range. Cool and contemporary, aluminium doors’ aesthetics are matched only by their performance. Enhance your home’s character with a traditional timber door.